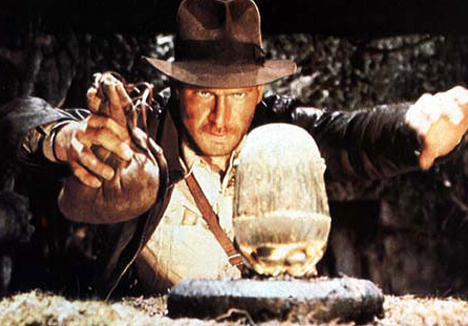 Steven Spielberg has always had one foot in analog and one in digital, and reaffirmed it Tuesday night after an L.A. Live digital screening of Raiders of the Lost Ark hosted by the Hero Complex’s Geoff Boucher. Spielberg proudly proclaimed that the audience was seeing the original theatrical version. He was then joined onstage for the 30th anniversary screening by Harrison Ford, who proclaimed that shooting the swordsman was his idea.